Boston's Meliah Rage have been ambassadors of the underground since their debut in the later part of the 80's and have strung together a series of pretty sweet discs of power/thrash Kill To Survive, Solitary Solitude, Barely Human and Death Valley Dream. Their more recent offerings over the years have been a bit more uneven, but they still know how to put out some solid work. With epic cuts like Warrior and I Am The Pain to lead the way, their new album is overall I think some of their best work since the early four albums overall. I sense a fair amount of Megadeth in the vocals here, and overall I get a strong sense of rejuvenation that wasn't seen on 2011's Dead To The World. I think this has a lot to do with their new vocalist Marc Lopes who seems to have brought the much needed enthusiasm with him. The twin guitars that have been the driving force behind Meliah Rage are showcased here and though there is not a huge number of dynamic riffs or solo work throughout the album, there is enough to keep the music moving forward. But then again the style here has never been about the over the top kind of dynamics and is more about the technical aspects of thrash metal. There are a lot of highlights to be found on this album such as When We Wake, which starts out slow before moving into an intense mid tempo piece, picking up in both intensity and interest. A Daying Day is a straight out mid tempo thrash piece that gets the head bobbing and In Hate is a nice scorcher that does have a pretty intense starting riff and closes things off nicely. 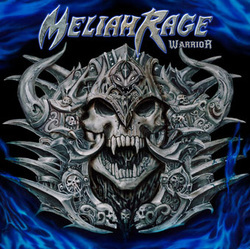 Meliah Rage are back and they are indeed Warriors of the underground!